SALINAS, CA - I can still remember the first time I made homemade cranberry sauce for Thanksgiving. The pop of the berries, the citrusy punch of orange zest—it’s arguably one of my favorite memories of the holidays. Cranberries stand the test of time on the holiday table, bringing much needed tartness to heavy dishes. I spoke to Brian Vertrees, Director of Business Development for Naturipe Farms, to find out more about the cranberry season and why consumers should place this item into the basket. Naturipe’s production of cranberries has steadily increased over the years. 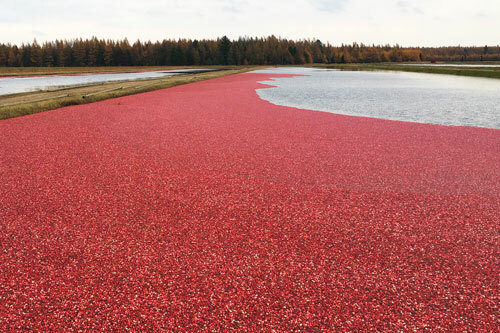 Given that volumes are up from last year, he explains, this offers retailers many opportunities to promote cranberries and surpass 2017 sales. Spoken like a true cranberry lover! For the latest in market updates like this, stick with us here at AndNowUKnow.